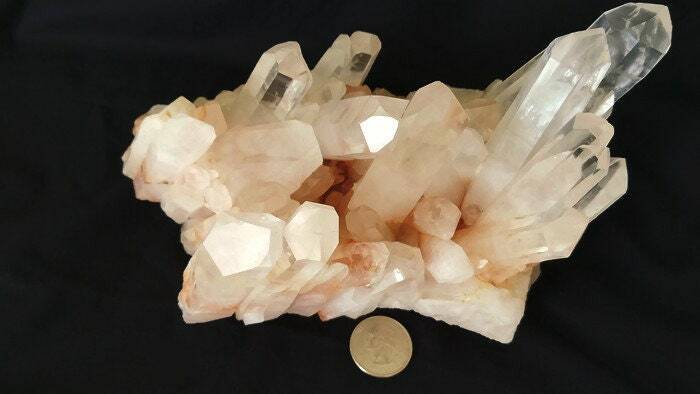 Large Clear Red Quartz Cluster with Dow, Transmitter and Channeling Points. 3lb 2.6 oz. 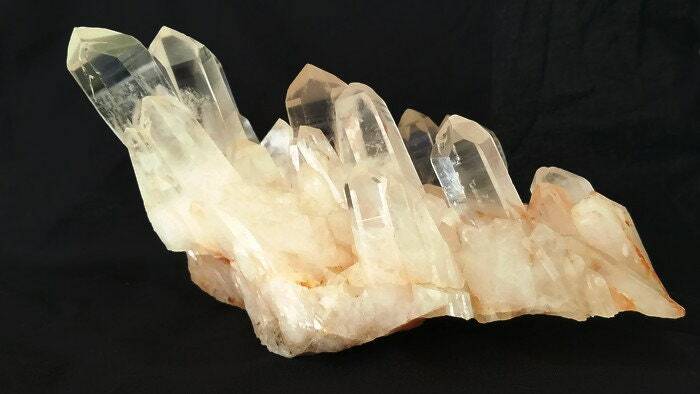 This large crystal cluster is loaded with many "special" formations including Channeling, Transmitter and Dow points. 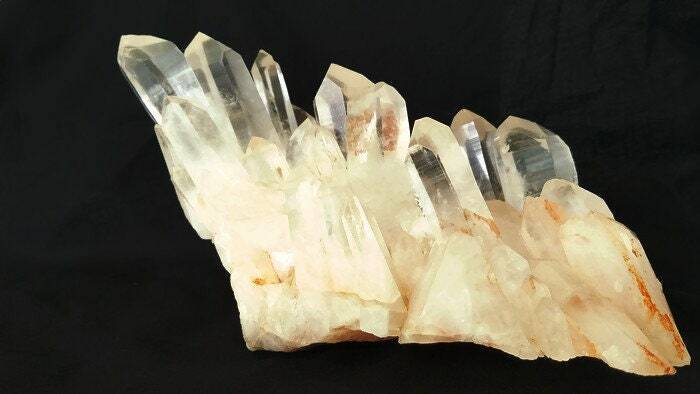 These are 3 of the 12 Master Crystal formations all in one big cluster. Channeling crystals are a special type of face. They have a 7 sided face with a 3 sided face directly opposite known as a 7-3 formation. They are good for receiving information from other dimensions or internally. 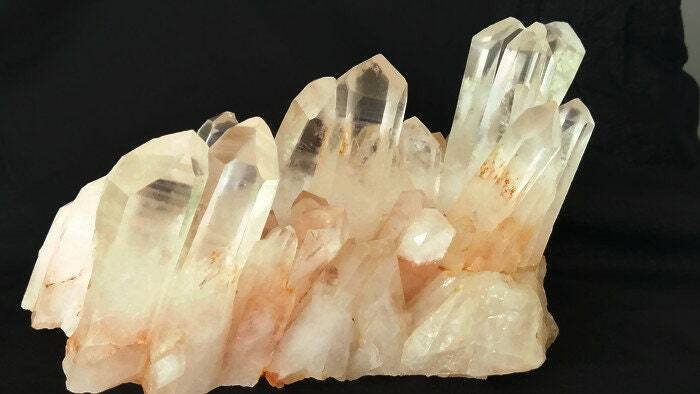 Transmitter crystals have two 7 sided symmetrical faces with a 3 sided triangle face in between as a 7-3-7 formation. 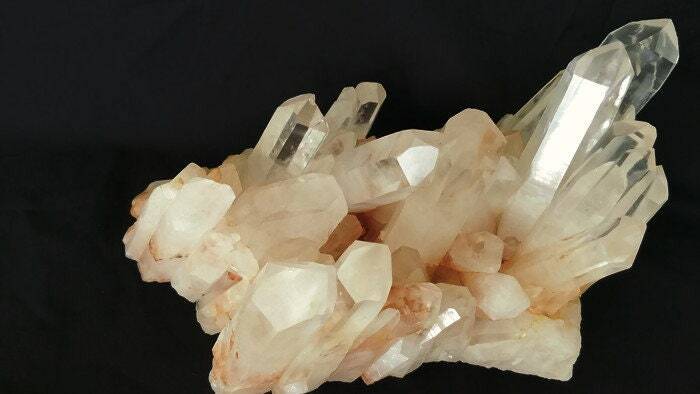 This type of crystal has the ability to transmit information to other planes. Dow crystals are the rarest or the three. This is 3 channeling crystals and is a 7-3-7-3-7-3 formation. The Dow crystal can send and receive and are known as Transchannelers due to the power of that type. While the base of the points have red in them, they are extremely clear at the upper portion.